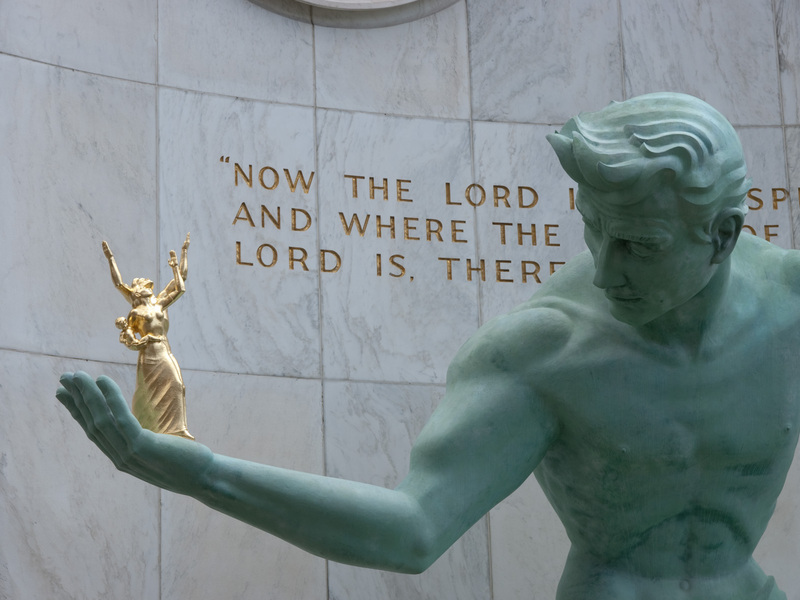 This shot, taken on Scott Kelby’s Second Annual Worldwide Photowalk, shows the statue known as The Spirit of Detroit. The statue was created by Marshall Fredericks, who is responsible for many pieces of art in Southeastern Michigan (and other places as well). I have seen many shots of this statue, but have never been up close to it. 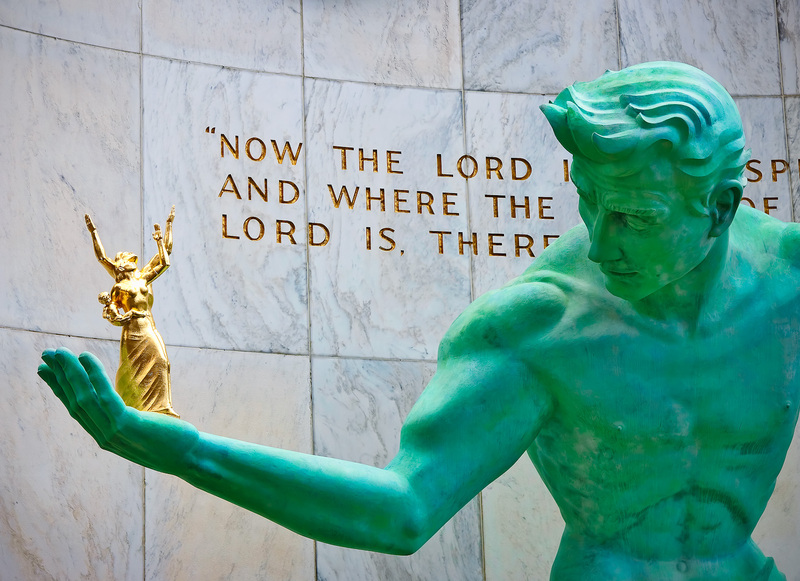 It had recently been restored and I was amazed at just how green the statue was in the sunshine. I tried to capture that but I still don’t think this image really captures the intensity of the color. The statue is much wider, but for this shot I wanted to capture the gaze of the ‘spirit’ as he looks at the family. Please check out this slideshow of some of my other images from the photowalk. Let me know your favorite! I really envy you with that photowalk, there was nothing serious about it here, in Israel. Waiting to see more photos from that walk!